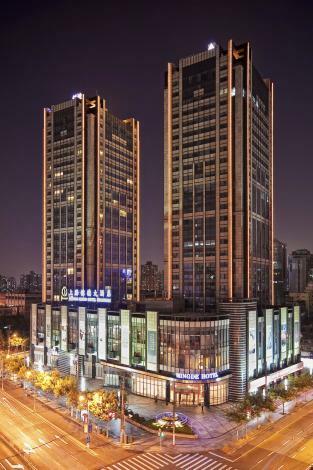 The Mingde Grand Hotel Shanghai (Mingde Dajiudian) is a five-star hotel located in Shanghai's Zhabei district. It's within walking distance of Shanghai Railway Station and Zhong Xing Road Metro station on Line 8. All rooms in this Shanghai hotel are equipped with Internet access, LCD televisions and mini-bars. A ballroom and a number of function rooms available within the hotel are suitable for a range of events. This hotel also houses three restaurants serving Shanghainese, Cantonese and other Asian cuisines and two bars and lounges. A fitness center and an indoor swimming pool are also located within the hotel. - 20 km to Hongqiao Railway Station.